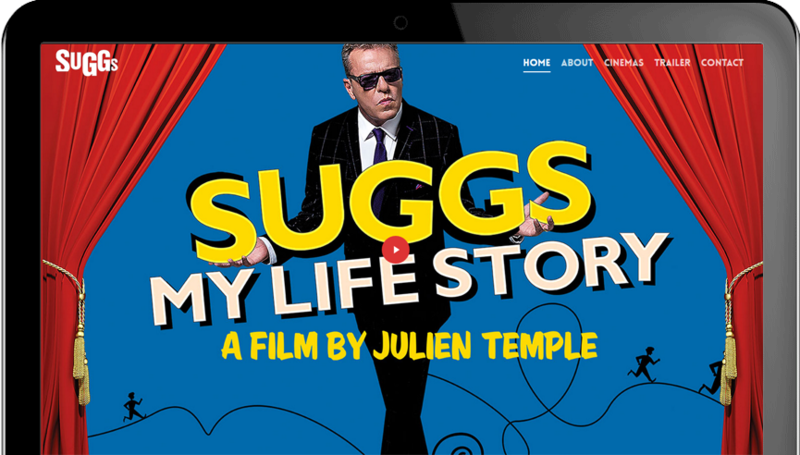 Suggs: My Life Story is an independent film musical staging the Madness singer’s quest to find meaning in his life after his 50th birthday leaves him existentially grappling with his identity. 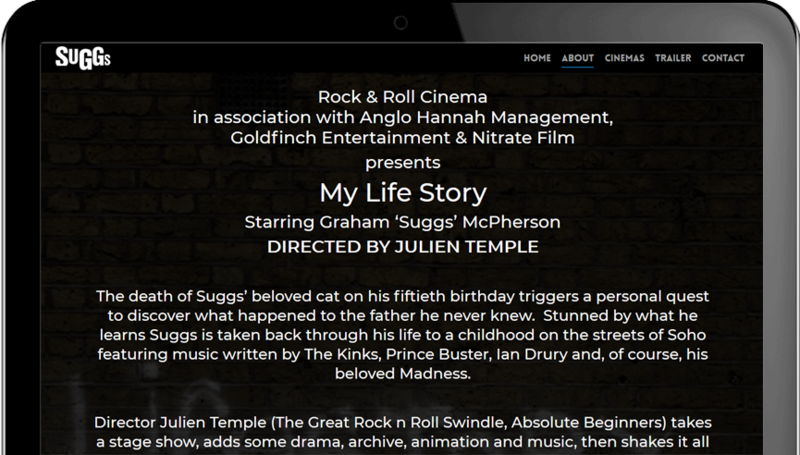 Directed by Julien Temple (Great Rock n Roll Swindle, Absolute Beginners), the one man tour-de-force is premiering at KoKo in Camden Town at the outset of 2018. 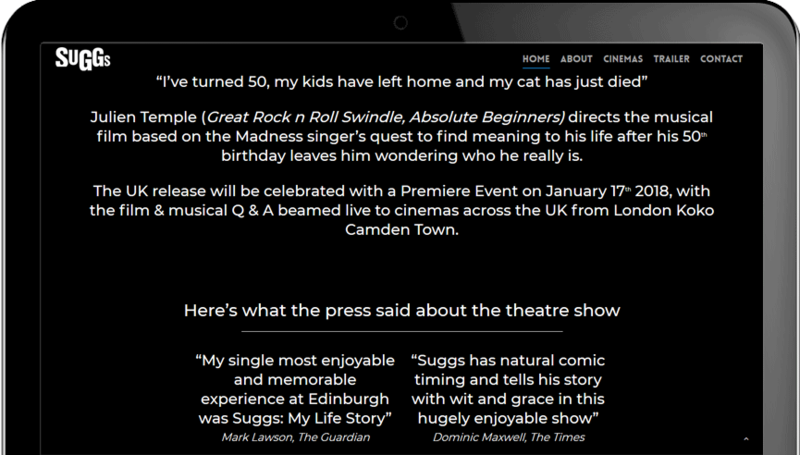 The film required an online presence to host the trailer, act as a stepping stone for further press enquiries and, most crucially, allow the public to purchase tickets. Integration of the high-quality moving image platform, Vimeo, to unveil the film’s trailer. Intuitive content management system allowing editorial access from any location, including from mobile devices.